Newport Beach, CA—The Law Firm of Russell & Lazarus is proud to announce lead trial attorney Fenja Klaus completed the prestigious Gerry Spence Trial Lawyer’s College held at Thunderhead Ranch in Dubois, Wyoming. The Trial Lawyer’s College is committed to training a new breed of lawyer — a warrior who has the courage to become a real person first, and who then has the heart to fight for justice in their own passionate voice. Only 55 lawyers are selected each year from hundreds of applicants already doing extremely good work and show high potential. The college is only open to those who are committed to representing and obtaining justice for the injured, the poor, the voiceless, and protecting their rights against corporations and the government. The goal of the program is to give the attorneys the opportunity to discover a deeper side of themselves and the people they represent. Founder and Chairman of the Board, Gerry Spence, now in his 80s, is still committed to personally attending the program so he can continue to share his knowledge and help attendees become exceptional trial lawyers. Fenja is a 2002 graduate of Loyola Law School in Los Angeles and has accomplished some impressive feats over the last decade. 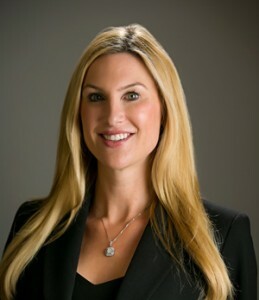 While working with nationally recognized and successful firms as a trial attorney and class action counsel, she has proven her expertise and dedication to her clients again and again. Fenja isn’t afraid to take on big, complex cases, and she has made herself known as an accomplished orator and sharp negotiator. Fenja has an impressive track record for going up against some of the largest corporations in the nation and even some of the largest corporations in the world. Fenja has also successfully represented clients in cases against some of our larger city and county entities in California, including Orange County, Long Beach, and the City of Los Angeles. Fenja is passionate about her favorite charities, such as the “Be Perfect Foundation”, which helps victims who have suffered spinal cord injuries, and the Hafif Family Foundation, a private charity that helps raise funds for other non-profit and charitable organizations. Founded in 1998, The Law Firm of Russell & Lazarus APC is one of the leading Personal Injury Law Firms in Southern California. The firm offers a wide range of services designed to help those who have suffered catastrophic injuries.